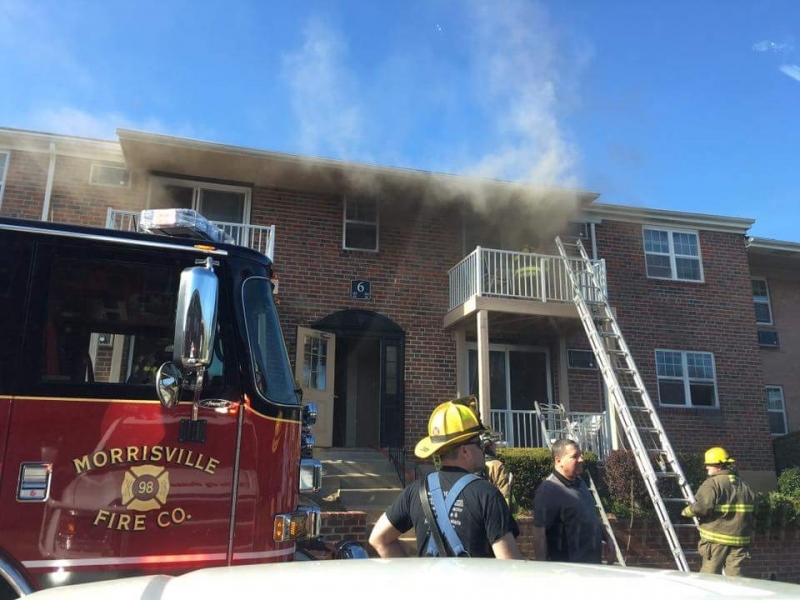 On Saturday April 16, 2016 Station 30 was dispatched with Station 98 (Morrisville) on Box 98-30 for a report of an Apartment at the Pennsbury Court Apartments on Plaza Boulevard. Deputy 30 arrived on location to find smoke showing from side A. Ladder 30 was first in and conducted a primary search of the fire floor while Engine 98 began to stretch a hand line to the interior. Engine 30 conducted primary search's of the exposure apartments and assisted in ventilation. Fire was under control in under 20 minutes. Thank you Station 30 members!